Crawling toward the far right toll lane amidst a dense late-afternoon traffic, a thick New York accent peered out the tiny booth and asked, “Dual wheels? That’ll be $42 dollas’. ” Ouch! As we coughed up the ridiculously expensive toll for the right to steer Diego, our 24-foot Winnebago View RV, across the George Washington Bridge, the memories of exorbitantly high prices all came flooding back. Continuing under the towering Whitestone Bridge on-ramp, the black cast-iron gates emerge and the large white lettering – “TRUMP LINKS” – greet our arrival. 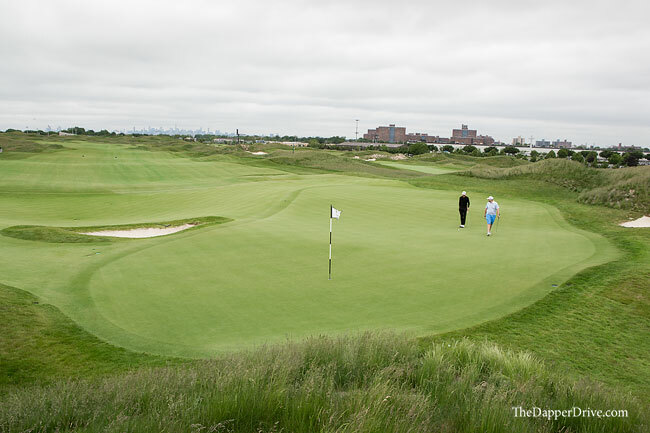 Wow, so this is Trump Golf Links at Ferry Point. 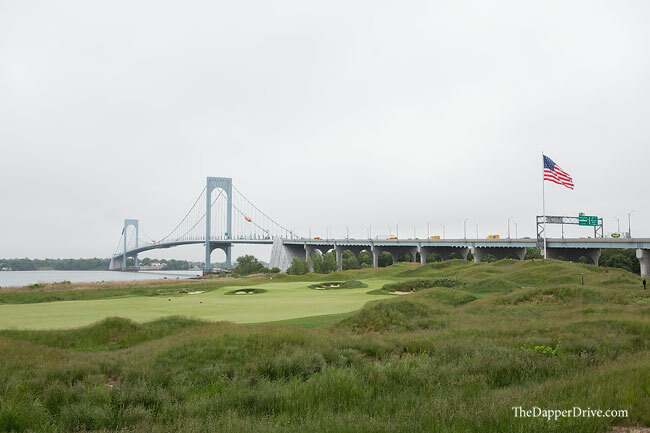 It’s location at the foot of the Whitestone Bridge may be Trump Ferry Point’s greatest asset. 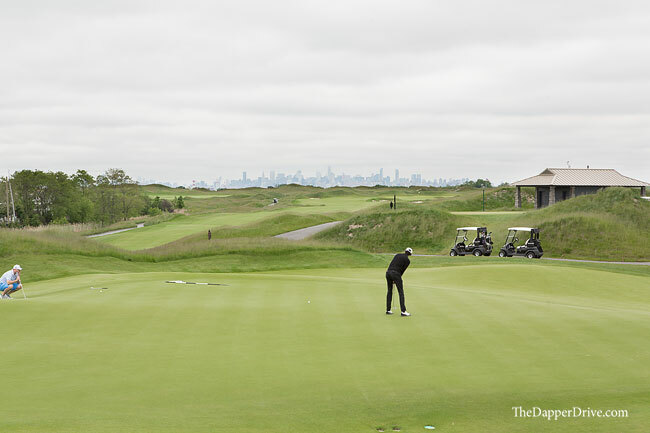 The ever-present views of the distant Manhattan skyline throughout the links-style course lend to an unforgettable round, and a public golf experience that is unparalleled by any other. Literally no other public golf course can tout this view. 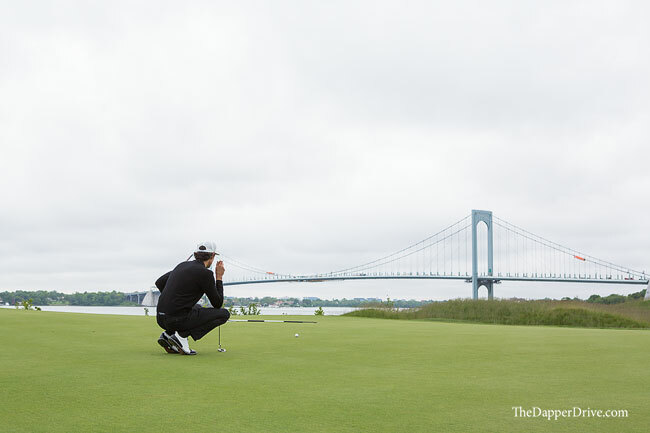 Sure, Bayonne and Liberty National, each a stones throw from downtown Manhattan, provide even more dramatic NYC skyline views, but these private courses will set you back a multi-six-figure initiation or require some serious schmoozing to get a look from members. By comparison, a few hundred bucks will get you on Trump Ferry Point. The uniqueness really just begins with that iconic skyline view and I found myself marveling at the property at every turn. The ground below the now pristinely kept fairways used to be a city landfill, meaning trees are few and far between. No trees, no problem. 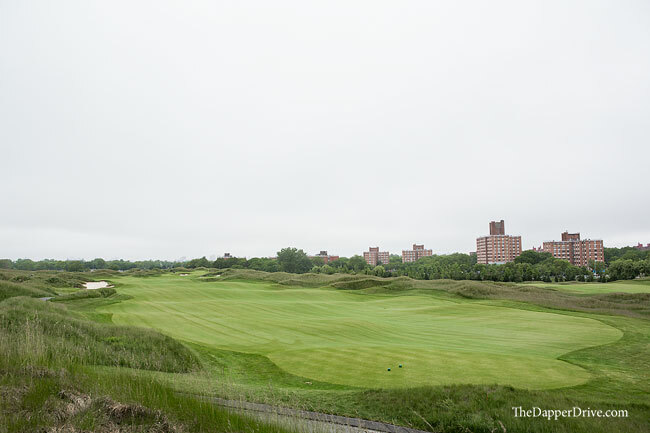 It was the perfect piece of land for Jack Nicklaus to design a true links golf course, sans the seaside location of course. The absence of trees and endless dunes throughout make for some great viewpoints of the property. 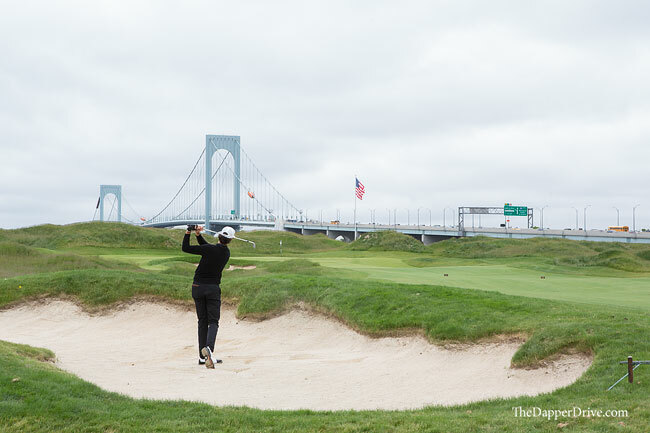 Nearly every hole provides some form of man-made backdrop, be it the Whitestone or Throgs Neck Bridges, city streets of closely erected townhouses and apartments, the bustling East River, or the aforementioned Manhattan skyline. I can promise that your camera will get a workout out here. 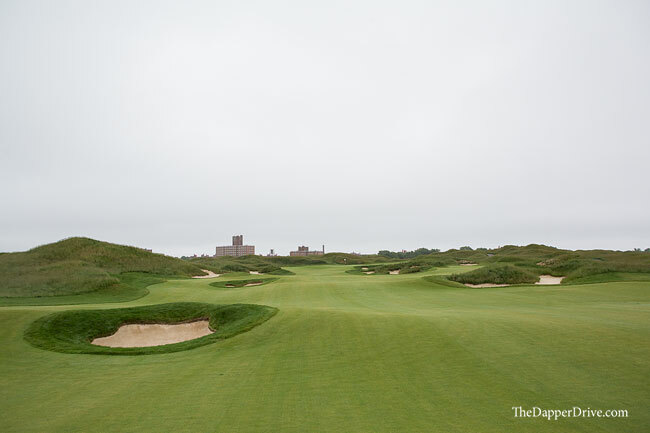 My personal favorite viewing location is the massive dune behind the 441 yard par 4 13th green. From this central point, you’ll enjoy a panoramic view of the entire Ferry Point property, including views of nearly every hole and the surrounding city. It’s well worth a quick climb to the top, to take in the sights and snap a quick picture. 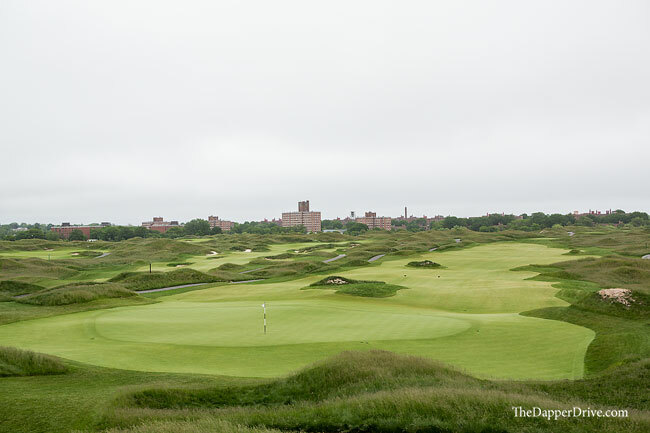 It’s immediately evident that fairways are at a premium. The good news is that most are quite generous, with ample room for tee shots to find the short grass. 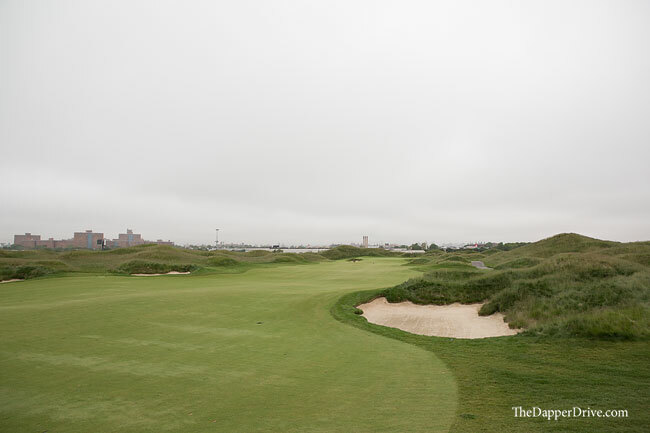 However, each and every hole at Ferry Point is lined by thick, penalizing fescue atop large, rolling dunes. A wetter than normal spring meant this fescue was dense from top to bottom in early June. The result? If you were lucky enough to track down your golf ball, the likely play was a full-swing sand wedge to blast the ball back into play. 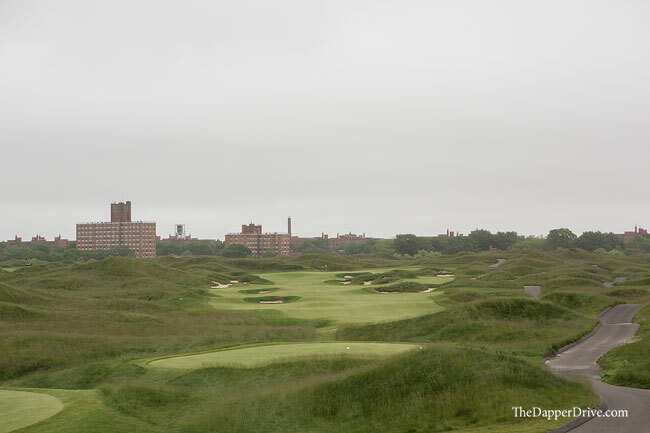 Beyond the golf ball search-and-rescue missions ignited by these fescue-covered dunes, they also help to shape and define each hole. These visuals yields great aesthetics from the tee, drawing your attention to each individual holes as the dark green rough accents the firm and fast, lighter green fairways. 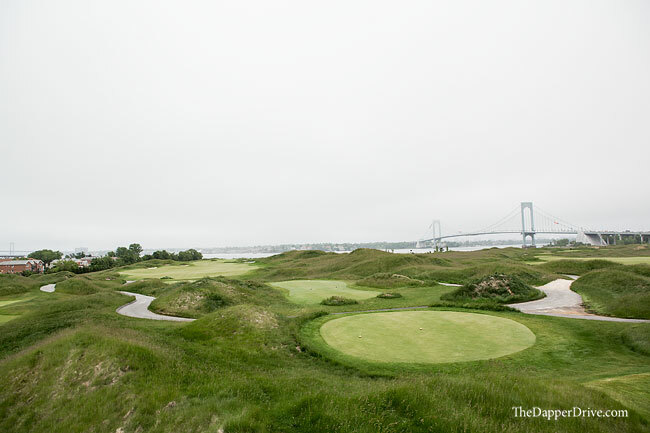 There are plenty of great holes at Ferry Point, each providing differing views and challenges. 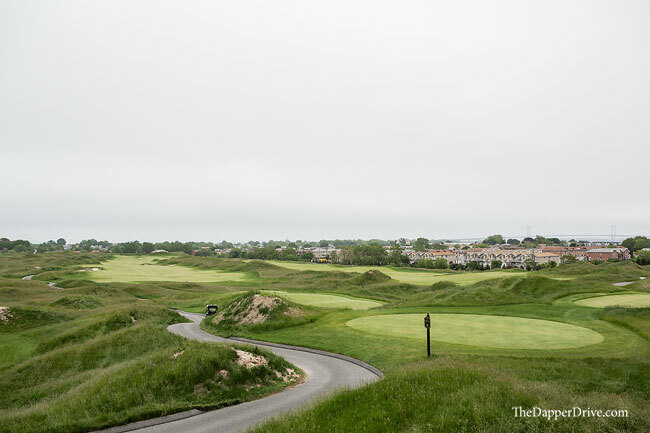 Sure, most are flanked by those fescue-topped dunes, and true to links golf offer closely mown run-up areas at the entry way to greens, but there’s just enough hole variety to keep you focused and interested. I’m a firm believer that every great course should boast a drivable par 4. A hole where golfers must weigh the benefits of the potential reward with the perils of the risk. 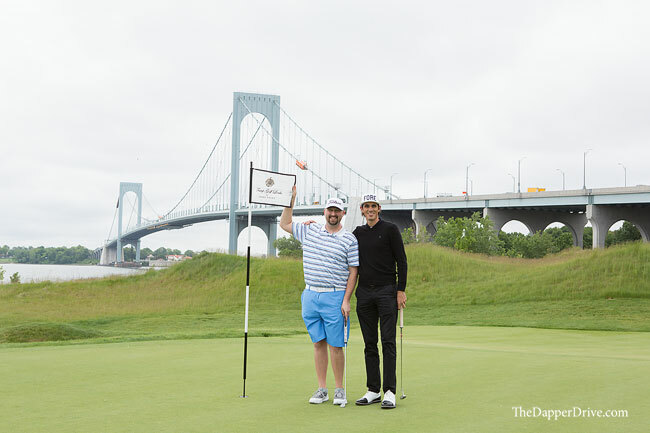 The 7th hole at Ferry Point does just that. Measuring 334 yards from the Championship tees (269 yards from the Men’s tee), this short par 4 is guarded by water down the right and deep green side bunkering on the left. The conservative approach is no gimme either, as a fairway bunker lurks down the left, opposite the lake on the right. And although it appears there’s no room for error up by the green, upon reaching the surface a large shaved collection area presents itself to the left. A perfectly struck hybrid / sand wedge approach left me a kick-in birdie, but bogeys (or worse) are lurking all around this hole! 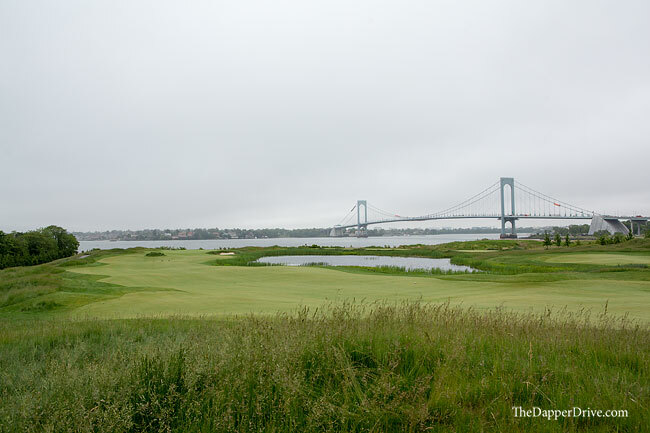 Before making the turn to the back nine, the 9th hole turns straight back toward the Whitestone Bridge, offering-up another fantastic view. 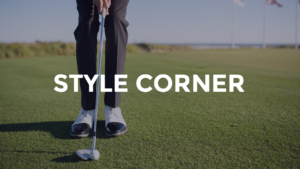 The hole itself provides some decision making, as a pinched fairway and extensive bunkering around the 160 yard mark yields a decision between aggressive driving vs. a longer approach. 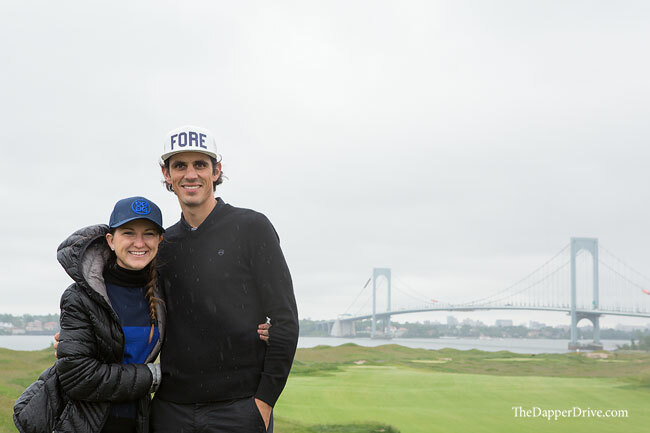 On the inward nine, epic views of the skyline on the 13th are sure to impress, but the best is saved for last. The beastly 487 yard 16th hole (406 yards from Men’s tees) points straight toward the East River and generally plays into a stiff breeze. A wide fairway takes some pressure off the tee ball and sets up a picturesque approach to water-guarded green. 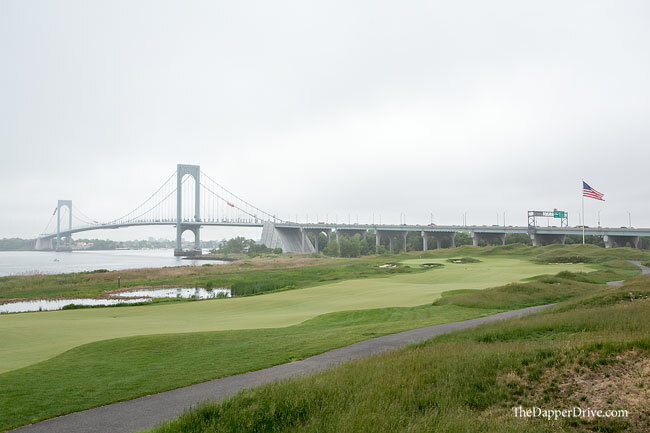 As you make the walk back to the 18th tee box and turn around, you’ll be met with one more incredible view of the Whitestone Bridge, as the final hole finishes at the foot of this towering structure. Searching for one last birdie? Here’s your chance. Successfully navigate the fairway bunkers, marshland, and surrounding fescue, and you may just get a crack at it on this multi-level green. 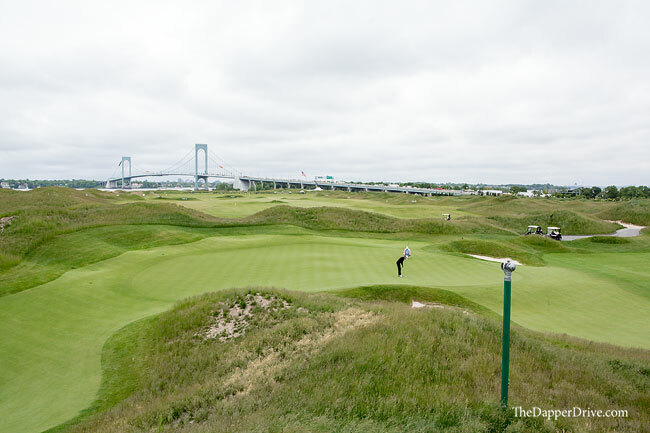 It’s no surprise this hole made it onto the recent “Modern Dream 18” list, where Matt Ginella joined a few other MET Golf Association notables to play the best 18 holes on modern courses in the greater NYC metro area. 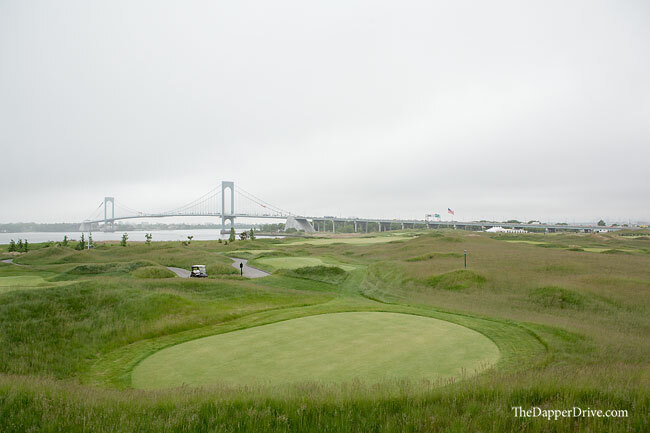 At the time of our visit for the Ultimate Golf Road Trip in June 2017, Ferry Point had yet to break ground on pending plans for a new clubhouse. Currently, there is a small structure serving as the temporary clubhouse that is surprisingly good. 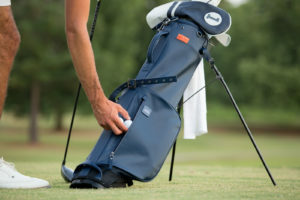 The pro shop is stocked with some stylish brands, including favorites of mine like G/FORE, Dunning and Greyson, to name a few. Additionally, an indoor/outdoor patio restaurant and bar offer a great spot for dinner and drinks with a view. 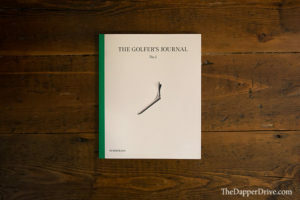 Chris – a high-school buddy and playing partner for the round – and I enjoyed a few brews after the round, where he was quick to tell me this is a course that near the top of his “best golf experience” list. 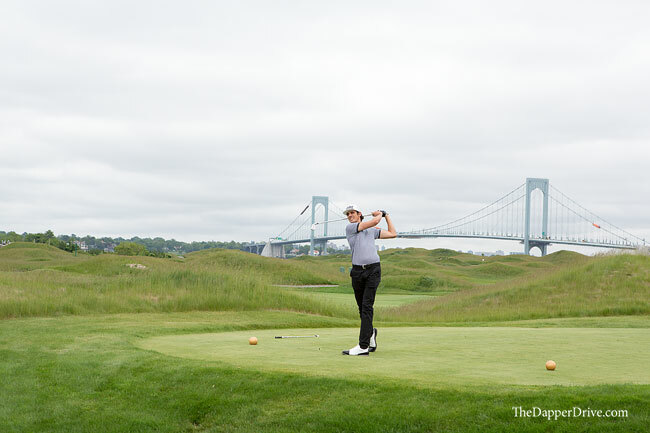 Agree, Ferry Point offers such a fun and memorable round of golf. 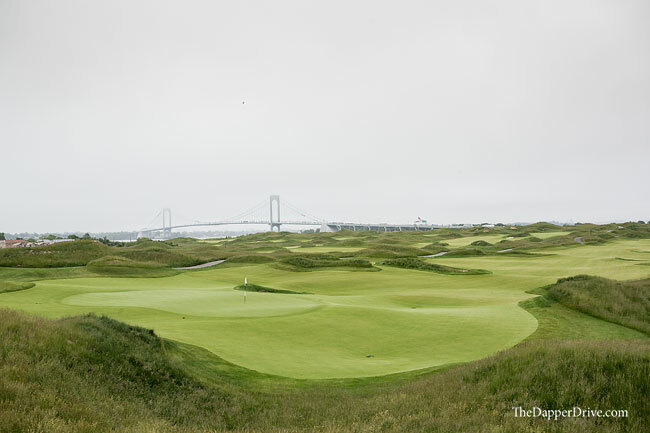 Among the many great public courses in America, Trump Golf Links at Ferry Point should certainly make its way onto your “must play” list. It’s hard to describe the feelings and emotions experienced on a course as unique as Ferry Point. 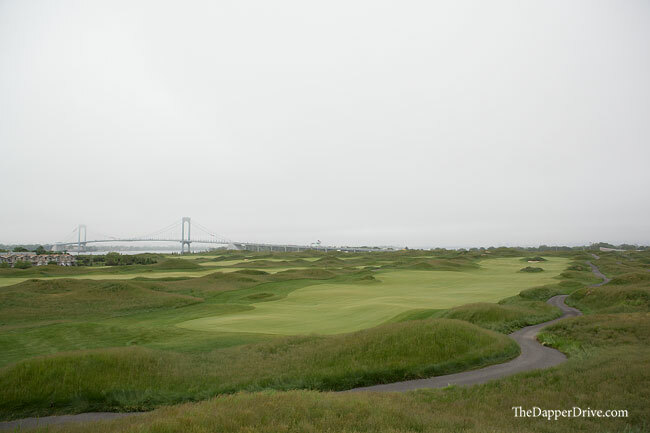 Links golf in New York City? It’s not to be missed. Watch Episode 23: The Dapper Drive Takes on NYC for more on our time in the Big Apple.